Combine Hot Sauce and Maple Syrup and set aside. 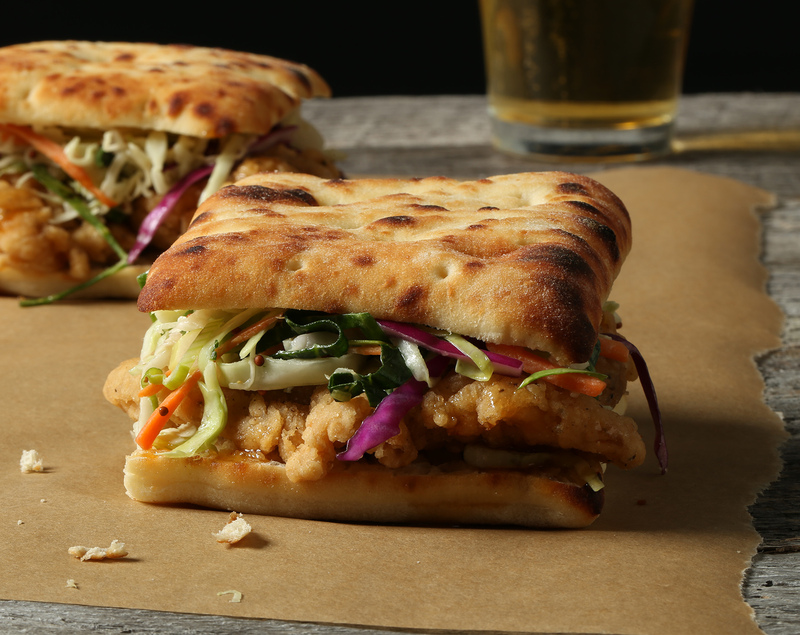 Build sandwich by laying chicken tenders on split Bistro Bun, Top with Slivered Almonds and prepared coleslaw. Drizzle Maple Hot Sauce and close sandwich. Serve immediately.